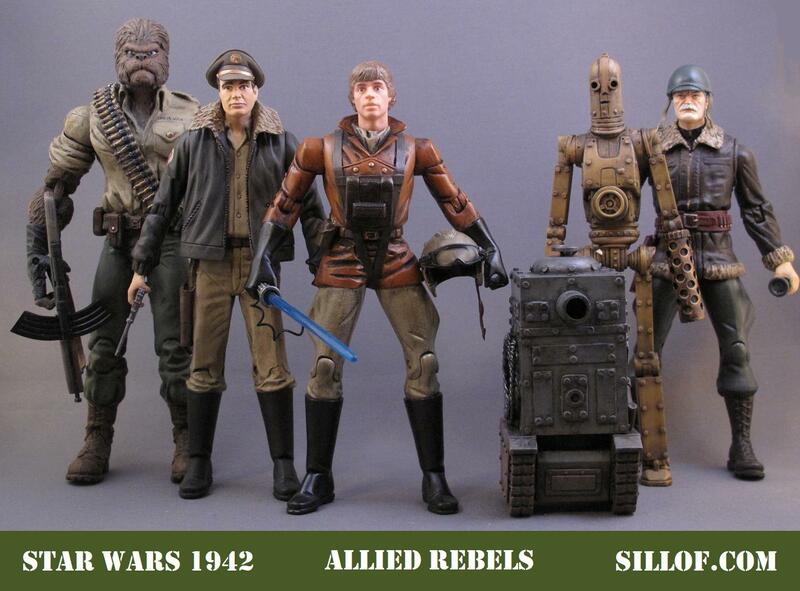 These were an early entry into a online custom competition called Custom Con. A very fun element to the Custom Con is the occasional team-up, where 2 customizers work together on a line. I am a big fan of the work of a guy named Glorbes. So when we decided to do something together I was very excited. Below are my contributions to the line. The daring captain of a beat up B-17 Bomber who is able to fly into enemy territory without detection. The co-pilot of Capt. Solowski’s B-17. A daring ace fighter pilot who takes. A Sturmsoldat equipped to fight in the harshest of winters on the Russian Front. 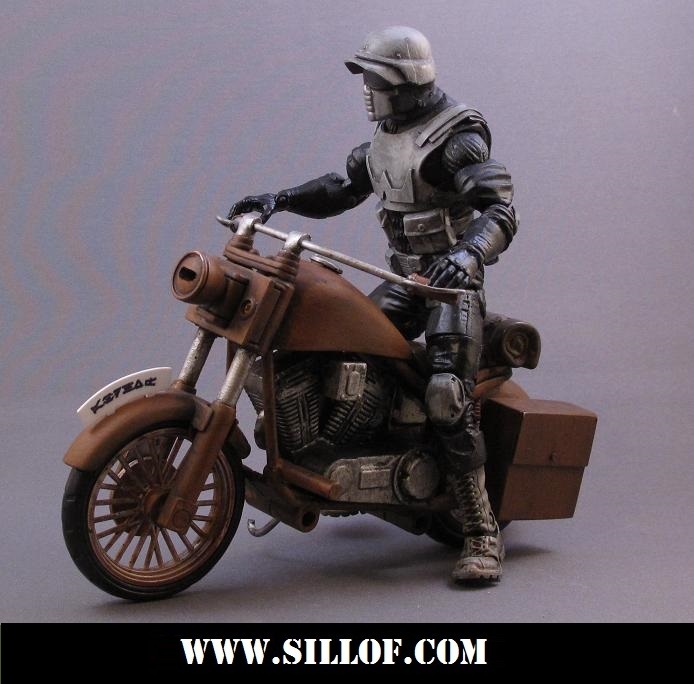 A Sturmsoldat on his motorcycle who can chase down enemies with ease. As an early automated automaton designed as a smaller tank operated on radio command signals for more close quarter combat then a Sherman tank can offer. 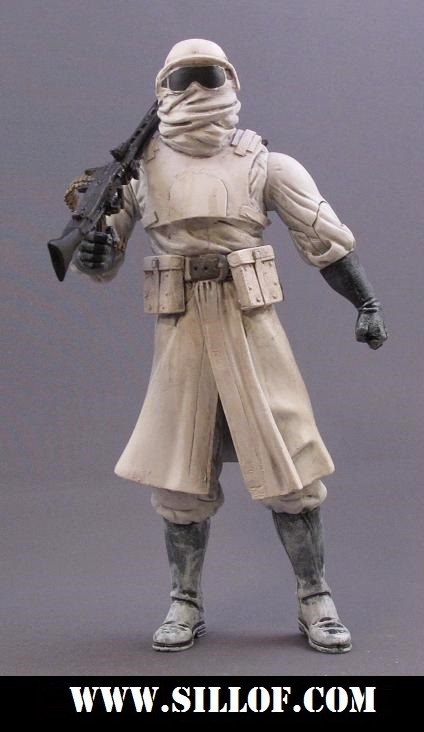 He features a desert tan color scheme and replacement leg in battleship gray and features a machine gun arm. Designed as a smaller manned tank, the Mk. D2 can be piloted by a smaller framed driver. 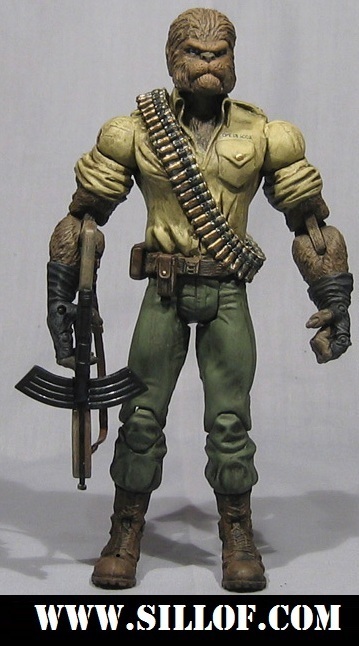 His is more of a utility model then a combat weapon. The driver can access the vehicle from an access hatch located on the top of the unit. He offers assistance in the form of tools, fuel, and war supplies. A battle tested soldier and seasoned veteran of WWI. The General is called back up to active duty to oversea a dangerous rescue mission with ties from his past. 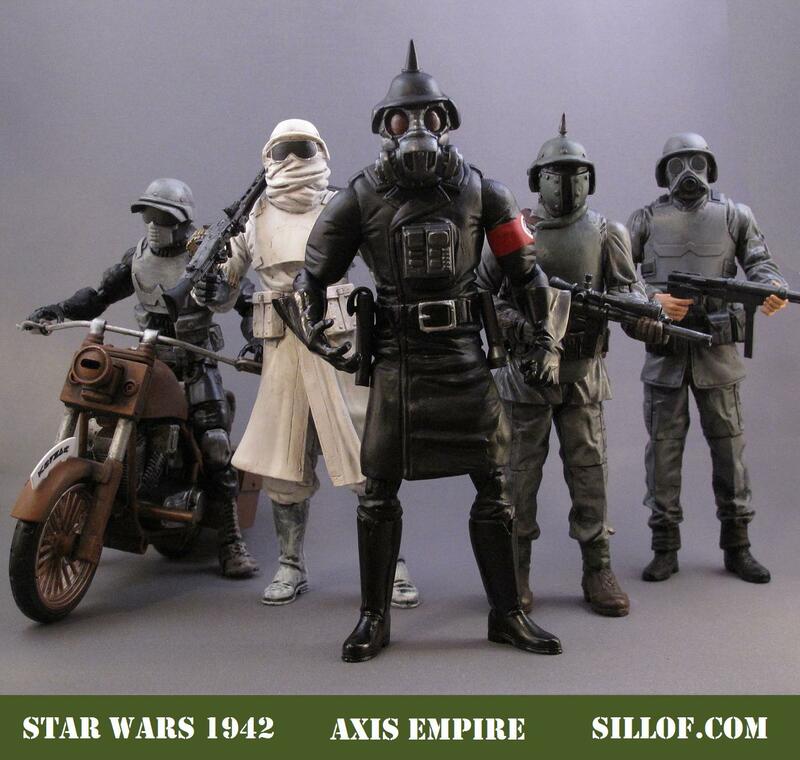 The backbone of the secret order of the SS, the Todesstern, was the Sturmsoldat, or Stormtrooper. Reichsführer of a Einsatzgruppen, or special task force, known as the Todesstern, he was tasked with the most high level and important missions. Bodo Vett was a member of the Fallschirmjäger, elite paratroopers. Glorbes is one of my favorite customizers. 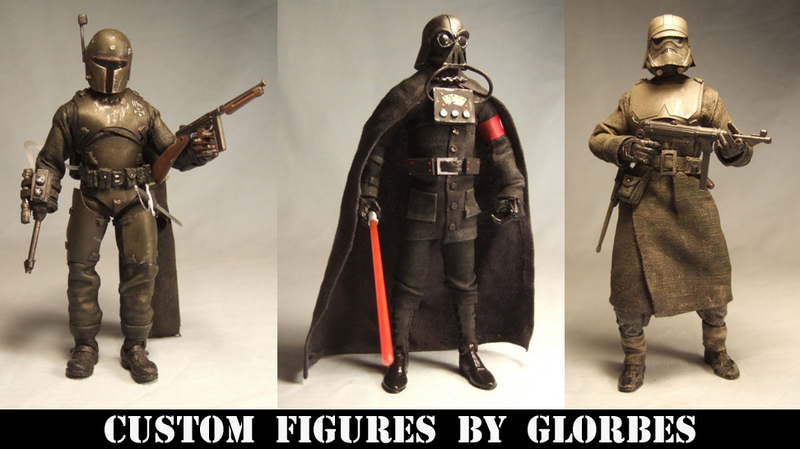 He is a master at redesigning figures and giving them his unique feel at the same time. 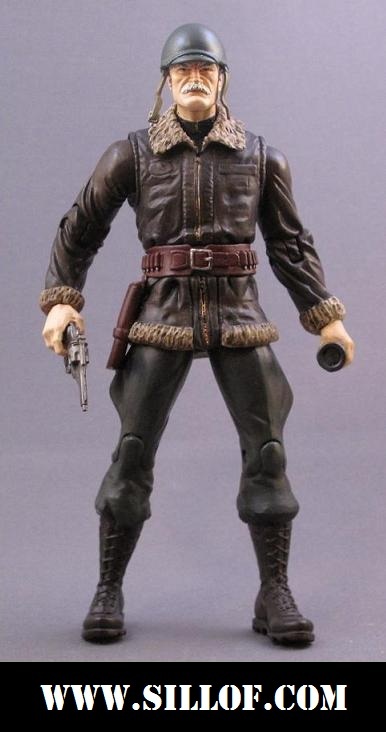 He is also quite talented at using fabric convincingly on figures. Here are his great entries in our line.